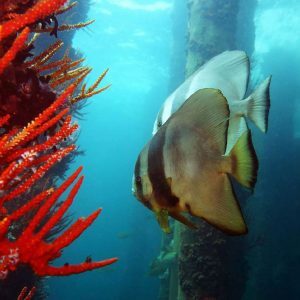 The great barrier reef is an enormous reef, of 2600 km long, the biggest in the world, along the Queensland state of Australia, from Bundaberg to the north of Cape York. The great barrier reef is the biggest structure created by organisms, and can be seen from the moon! It is the home of an impressive panel of marine life, and is often described as on the the 7 world wonders. The 110m S.S. Yongala sank during a cyclone on March 23rd, 1911 and it was not until 1958 that the wreck was first dived and due to its remote location it has remained mostly untouched. The wreck begins 15m below the surface and extends to 29m, and is classified on the top 10’s best dive in worldwide! Perth Ocean organises a dive travel that combine 3 days on a liveaboard trip on the great barrier reef from cairns, and an incredible journey of 2 dives on the Yongala wreck off Townsville, for a departure on the first week of June 2016. 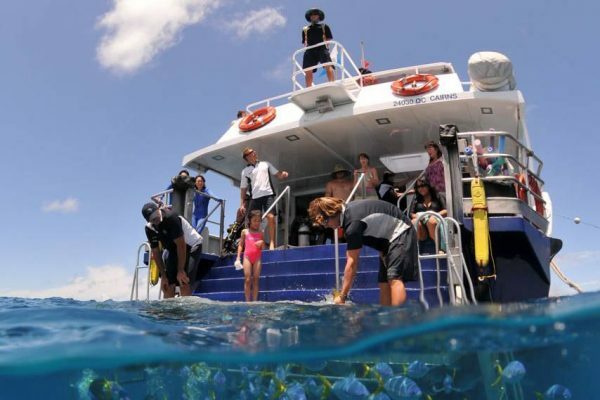 The dive vessel on the great barrier reef: 25 metres long 5 stars vessel created specially for diving equipped with 14 twin bed rooms, 2 double bed rooms, 8 bathrooms, one common area, 2 outdoor decks (one for dive equipment and one for sunbathing and relaxing), and one compressor (possibility of diving on nitrox).